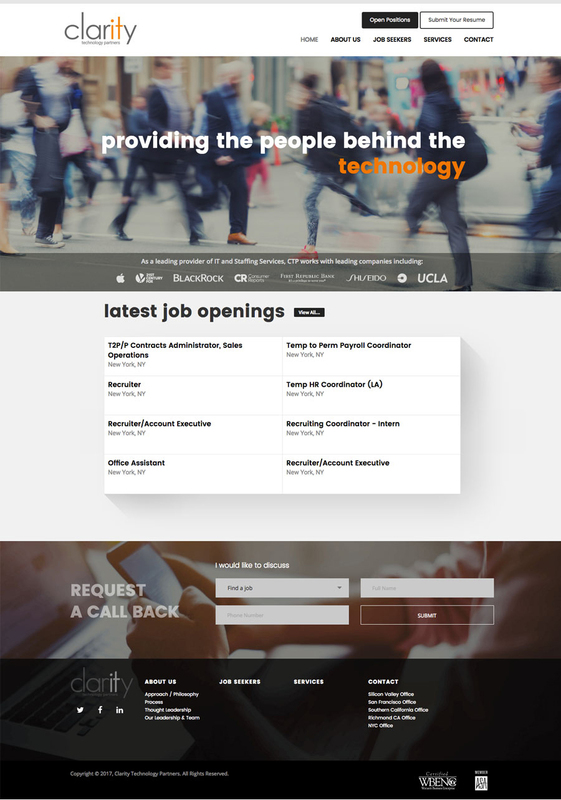 Clarity Technology Partners, a SF-based national technology headhunter, looked to improve their web presence through several defined areas: they needed a modern and responsive interface, supporting graphic elements, and integration with their company’s software API. And most important, their business directly dealing with tech leaders – beyond their service strengths, Brand Equity was their crucial asset. Brand clarity was achieved. The solutions we tailored were scrutinized to ensure that UI / UX (User Interface and Experience) met this industry’s exacting expectations.